Today it is no longer so. 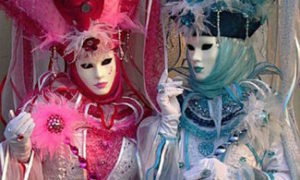 It remains a playful occasion, mainly dedicated to little children, with the occasional fancy ball, but the cape of Balanzone, the Pulcinella costume and the colours of Harlequin, have been covered up by today’s morality, often false and corrupt! And the confetti and streamers end up in our wine glasses. 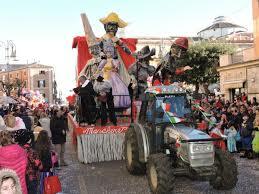 See the floats and join the fun in Genzano, Monte Porzio Catone, Velletri.